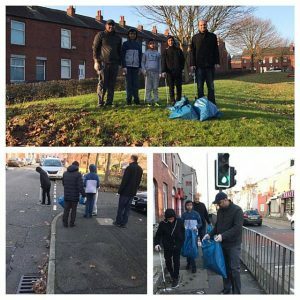 Rochdale members of Ahmadiyya Muslim Youth Manchester North did neighbourhood street cleaning in Rochdale on 20 December. Laiq Khan said: “Both adults and children participated in cleaning streets. Share the post "Youths do their bit by street cleaning"